I have writing song for years. When I received a small wind fall in money; I decided to spend it on recording some of the many songs I've written, rather than spending the money on more practical things. This is why I call This collection of songs the "Grand Indulgence" because that is just what it is. 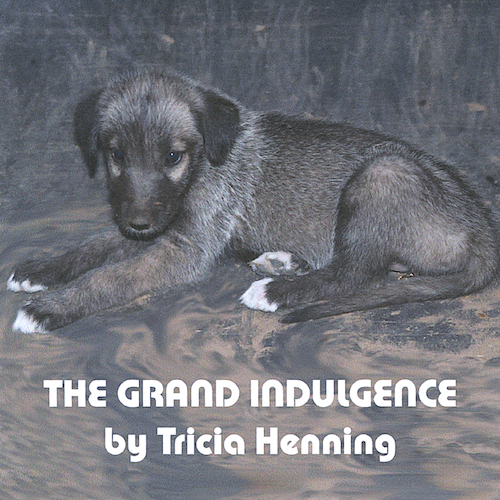 The puppy on the cover is an other grand indulgence in that it is an Irish wolfhound puppy. These ecliptic, up-tempo, tunes are truly timeless, and could be re-recorded by anyone in their own style. So if you are a musician looking for original material for your next recording project, or just a music lover appreciates original music; please be my guest and take a good listen to each tune. They are all different and have their own unique story.